Nissan's NISMO Is Planning A Big Announcement On Monday, But What Could It Be? No doubt you've heard of NISMO, Nissan's subsidiary responsible for going racing and putting garish bodykits on 370Zs. Nissan says some big changes are on the horizon for NISMO that will be made public on Monday. What could it be? In a recent news release, Nissan doesn't tell us much except to say that CEO Carlos Ghosn will "reveal a new direction for NISMO's core mission." What does that mean? 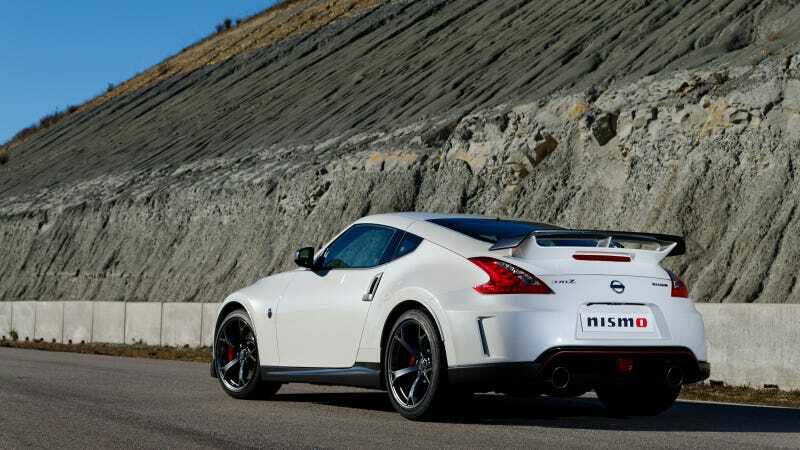 That announcement will come as NISMO opens its new factory in Japan on Tuesday (Monday for us Americans), a former Nissan plant that has recently been refurbished and expanded. That facility will also have a showroom and a retail center. The language in this release, particularly the part that says "for its millions of global gaming and virtual fans NISMO products are about to become much more of a reality," my guess is Nissan will be adding a bunch more NISMO models to its lineup. Evidence: the NISMO Juke that dropped in Chicago a few weeks ago. Or we really will see a "new direction for NISMO's core mission," and they'll announce they're going to make bicycles instead of cars. Or ridiculously fast motorized scooters for old people. Or little GT-R shaped drones for the military. Any guesses?